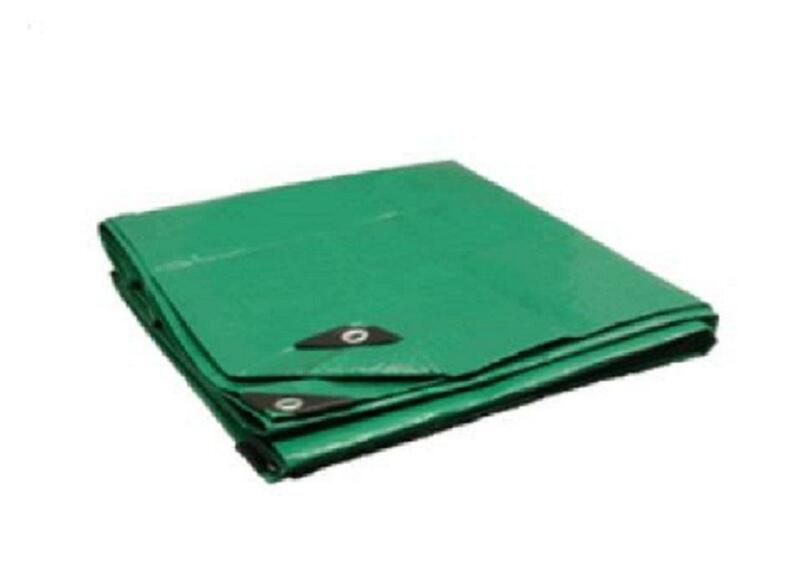 6' X 16' GREEN HEAVY DUTY POLY TARP (Finished size approximately 4" to 6" less than cut size.) 3 Layer Heavy Duty Polyethylene.14 x 14 Mesh Count. 12 Mil Thickness, 6oz per square yard, Reinforced Double Edges. Rope Reinforced Corners. 100% UV Protection, Heavy Duty Grommets approx. every 18".